Keisuke Honda came off the bench to score Japan’s equaliser against Senegal and rescue a point that puts them in the driving seat for securing a place in the last 16. The Senegalese keeper missed the cross and Honda was in the right place at the right time to score from Inui’s cutback. If he wasn’t a part of Japanese football history, then this goal definitely cements his place in it by becoming the first Japanese player to score at three World Cups, there is no doubt in my mind that Honda will join the likes of Hidetoshi Nakata and Shunsuke Nakamura in being a cult figure for future generations to look up to. Honda was unlikely to be at this World Cup had Vahid Halilhodzic not been removed from his managerial position and replaced by Akira Nishino. Halilhodzic had wanted to blood a new generation of Japanese footballers and start looking to the future, but when he was given the boot; Nishino had other ideas. Nishino decided to put his faith in the current crop of older more experienced Japanese players who already have a wealth of tournament experience, and now that crop of players are starting to reward Nishino for the faith he has placed in them, are the two connected? It’s highly possible they could be. Honda made history by becoming the first Japanese player to achieve the feat of scoring in three World Cups, but he isn’t dwelling on this as he said in an interview after the game that the focus now turns to the last group game against the Polish. 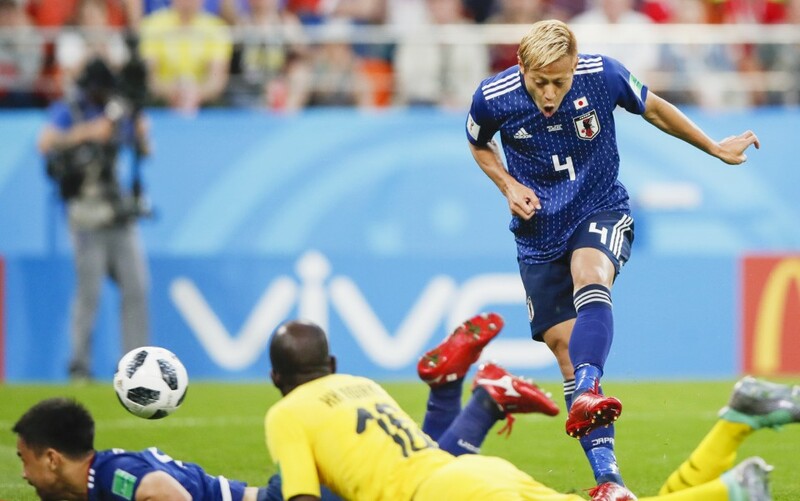 Honda said about the up-and-coming game, "I think we played a lot better than we did against Colombia, the next game is crucial and we have to try and prepare ourselves to put on a really good performance. If we lose there is a possibility that we will be going out. It's a crunch game and there will be nerves."